A truck plowed through a crowd celebrating Bastille Day killing at least 84 people in Nice on Thursday evening. At least 18 more people are currently in critical condition, according to AFP. The driver of the truck that killed at least 84 people in Nice on Thursday evening was a 31-year-old Franco-Tunisian born in Tunisia, Reuters cites a police source close to the investigation. 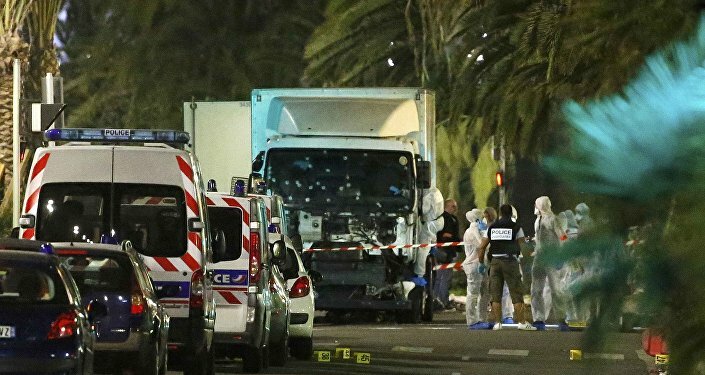 The attacker was previously known to French police, however, for nothing more serious than small crimes and was never investigated by intelligence. The man drove for over a mile before being shot dead by police, according to French Interior Ministry spokesperson Pierre-Henry Brandet. BFM TV reports that the truck driver was armed with a small gun that he shot several times before being killed. Anti-terrorism prosecutors are now investigating the deadly Nice attack. French President Francois Hollande said that the terrorist nature of the attack cannot be denied.